FBU members have shown strong support for the stance of their union in rejecting the latest pay offer from employers. 13.57% pay increase over three years was offered linked to firefighters accepting “open-ended contracts” that would remove boundaries to how fire & rescue personnel can be used by fire authorities. The charity, DEVIZES PHAB, is in urgent need of minibus drivers. The recent loss of people that drive the minibuses that are owned by the charity and are used to transport disabled persons to charity events is severely hindering the work of the charity. An appeal has been made to the WRFA for help. If any member is able to volunteer their services to do some of the driving duties LINDA KEEPENCE would be very pleased to hear from you. Linda is the transport officer for the charity. Her telephone number is 01672 562618. Drivers must hold a driving licence for Section 19 (D1) that qualifies them to drive small buses. The work will be concentrated in the Devizes area. Payment is available at the rate of £9.50/hour. The Welsh Government has announced that it intends promoting the fitting of sprinklers to all buildings in Wales 18metres or more in height if they do not already have such fire protection. This further widens the gap between the attitude of the Welsh Government to the use of sprinklers and that of the English and Scottish Parliaments. 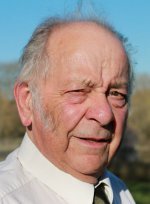 We are delighted at the news that the Freedom of Ludgershall has been bestowed upon WRFA Executive Committee member, MAURICE BETTERIDGE for his long and distinguished service to his community. We extend our most sincere congratulations to Maurice who has richly deserved this very rare and distinct honour. The public inquiry into the disaster has been paused and it is not known when it will continue to probe into how such a catastrophic failure in fire safety was allowed to happen. George Johnson is making a good recovery from his recent fall and although he is still in Woodpecker Ward of GWH, Swindon it is hoped that he will soon be discharged to his home in Marlborough. The delay is to give time for the Wiltshire Council to put a care package in place for him. It has been confirmed that the fire pensions will increase by 2.6% from April this year. Those receiving state pension should already have been notified by the Department of Work & Pensions that state pensions will also be increased by 2.6% from April. Some WRFA members whose fire service pension is administered by the West Yorkshire Pension Fund will have received a pension payslip in the last few days that shows a deduction of £10.00 destined for NARF. I hope and believe that this is simply an unfortunate choice of letters to describe the automatic deduction that will in fact be finishing up in WRFA coffers. The last agency that was employed to manage our pensions, Devon County Council, used the letters ‘ARF’ on our payslips standing for ‘Association of Retired Firefighters’. As your treasurer, you may rest assured that I shall be taking steps to ensure that the automatic deductions referred to above go into the WRFA account and not to National Association of Retired Firefighters. With much sadness the death of TONY SMITH is brought to your attention. Tony served at Salisbury in Wiltshire Fire Brigade. Tony died on Tuesday 19th February 2019. His funeral was held at Parc Gwyn Crematorium, Narberth, Pembrokeshire, Wales on 11th March 2019. Tony was not a member of WRFA. A letter of condolence has been sent to Alice. With much sadness the death of ROGER ROWLING is announced. Roger had a massive heart attack on Saturday 16th February 2019 and was rushed into GWH, Swindon. He passed away on Wednesday 20th February, 2019. He was 74. Roger was not a member of the WRFA but the condolences of this Association have been expressed to Eileen, Roger’s widow. The funeral was held at Kingsdown Crematorium, Swindon on Thursday 14th March 2019. Frank Wilton has very recently been diagnosed with an abdominal aortic aneurysm which is a life threatening condition in his case unless it is corrected by surgery. He is therefore expecting to be admitted to hospital very soon to receive the treatment he urgently needs. In the meantime he has been forbidden to drive. Frank lives in Bleadon near Weston-super-Mare with his wife, Betty for whom Frank is her carer because of her ill health. Frank was 85 on 20th February. Frank is thankful that his aneurysm has been detected before it burst which would have been an exceedingly dangerous situation. WRFA male members over the age of 65 are reminded that screening for AAA is available free from the NHS. It is painless and takes only a few minutes. See your GP. Brian Gray is still in hospital but wishes to say a sincere thank you to all who have sent to him and Jackie get well wishes of support. The very good news is that the extreme pain he is experiencing is not due to cancer. Biopsy tests have pinned down his problem to a deep seated infection in the bone in his nasal area. To treat this he must undergo weeks of antibiotic treatment administered intravenously in hospital. Brian has since returned home. Channel 4 broadcast a TV documentary on Monday February 18th that examined how the policies and actions of the London Fire Brigade influenced the Grenfell Tower disaster. The public inquiry into the disaster has completed its first phase and recommendations are anxiously awaited. In giving her evidence to the inquiry the Fire Commissioner of the LFB, Dany Cotton, has gone on record as stating that she would change nothing about the Brigade’s actions on the night. No doubt this provoked the TV company into analysing in depth how the fire brigade’s actions and policies related to the 72 deaths caused by the fire. The operational performance of the LFB was heavily criticised in the programme. Fire Commissioner Cotton was very new in post when the disaster happened and much of the fire safety policy and operational procedures were put in place by her predecessors. The full cost of the fire that recently destroyed an automated warehouse in Andover, Hampshire has yet to be calculated. What is known already is that the share price of Ocado, the grocery company that owned and operated the massive warehouse, fell by 15% in the immediate aftermath of the blaze. The cause of the fire is still under investigation but it is believed that one of the 1100 battery powered robots operated within the warehouse may have caught fire. At Tamworth in Staffordshire one wing of a mental health unit has been severely damaged by fire. One man has been arrested on suspicion of arson. The eleven people being treated at the unit escaped the fire unharmed. The fire was prevented from spreading to other wings of the NHS facility. The Police have completed their investigation into the circumstances that led to Stewart Edgar, the former Chief Fire Officer of Gloucestershire, resigning after a whistle blower revealed an unusual arrangement concerning the disposal of a fire service Land Rover Discovery. The police file has been sent to the Crown Prosecution Service who will decide whether a criminal charge is appropriate. Mr Edgar gave as his reasons for his early retirement his desire to spend more time with his family. A fire at a massive automated high bay warehouse in Andover has been burning for days and has been declared a major incident. Fire appliances and crews from all over the south of England are attending in support of Hampshire Fire & Rescue Service. Support from Dorset & Wiltshire FRS is being given and crews from as far away as Kent and Oxfordshire are also involved. Because of the large clouds of toxic smoke created by the fire an evacuation of people downwind has been carried out with rest centres being activated to give them temporary accommodation. The long and bitter battle between the Fire Brigades Union and the Government over fire pensions seems likely to go to another legal stage. The FBU won their case at the Court of Appeal in December when the judgement was that the change to fire pension schemes was unlawful on the grounds of age discrimination. The Government has applied for the judgement to be heard and overturned by the Supreme Court. The FBU has submitted an objection to the case going to the Supreme Court because it is the union’s view that there is nothing further to be argued in law. If the Government is allowed to appeal and lose it again, the cost to the increase to pension funding nationally has been estimated as £4 billion.